Most Reasonably Priced Wine Tour in the region. You have all the freedom to visit 13 fantastic places including Wineries, Adventure spot, Eatery and a Historical Gold Mine. 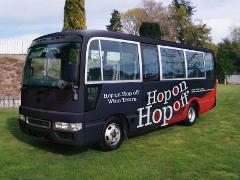 Hop on and Hop off at any stop for any duration during the tour.